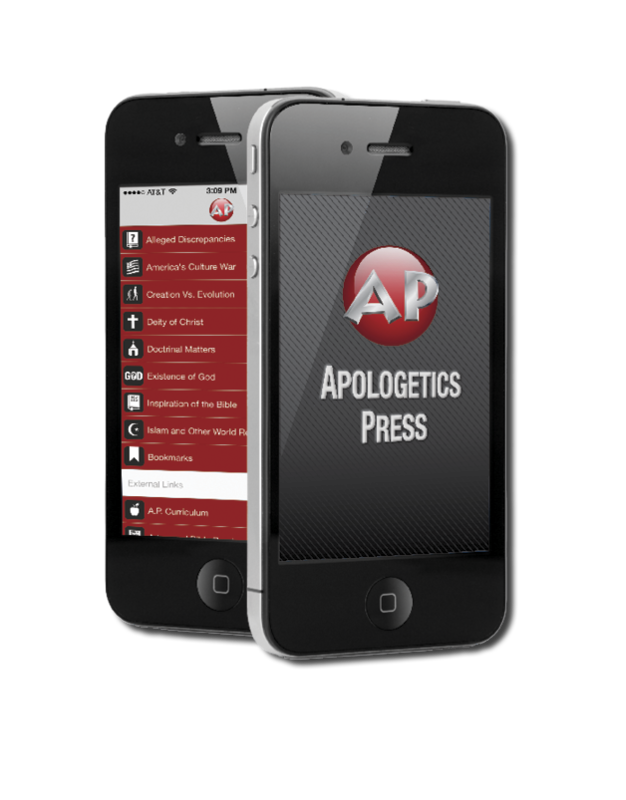 F or some time now, Apologetics Press has been working toward developing an app that can be used on mobile devices. We now have that app ready for download in iTunes™ and soon in Google play™ stores. This app puts the power of our Web site in the palm of your hand—for free! Search for “Apologetics Press” at the iTunes App Store. Click <<Here>> to visit iTunes™. The app provides our main subject categories from our Web site. Seven of these categories are subdivided by topics. The eighth category, Alleged Discrepancies, is separated into books of the Bible. Each book has Scripture references and article titles to help you find the information you need. Also, the articles may be bookmarked for later availability when Wi-Fi is unavailable. To retrieve these articles, simply click the A.P. logo at the top of the app. Then click on the Bookmarks button near the bottom of the list to view your bookmarked items. Also available in the iOS version is the ability to print on AirPrint devices. The A.P. app search engine is available on the home screen, which is very handy when one is uncertain which category or topic to choose. Just enter your keyword(s) in the search bar. We hope you find this new tool useful. We anticipate including our Multimedia section in a future update. Please download and try it today. Also, be reminded that we now have three dinosaur posters on the market. Most likely, when you picture a dinosaur in your mind, you don’t picture it alongside humans. Instead, you imagine what you have seen in pictures from childhood—pictures that were created by evolutionists. But according to the Bible, humans and dinosaurs were created together on day six of Creation. Dinosaurs, which on average were the size of a cow, would have been on the Ark (some possibly in a juvenile state), if they were still living at the time of Noah (and the evidence strongly supports that they were). Consider: Not only are these posters worthy of decorating a wall in your home (including a child’s room), you should consider using them in Bible classrooms at your church, or even placing one in your office at work to stimulate spiritual conversations.